Vice-presidential candidate Sarah Palin's private Yahoo e-mail account was hacked, and some of its contents posted on the internet. 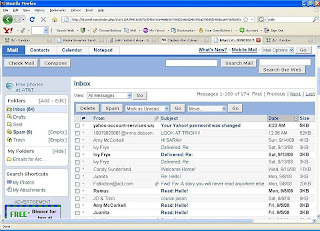 Palin used gov.palin@yahoo.com for personal email contact family and friends. Wikileaks posts some screenshots, contact list, and account information.